It is that time of the year again. For many of us, winter brings aches and pains, and your companion animals also feel these ailments. Help is close by. 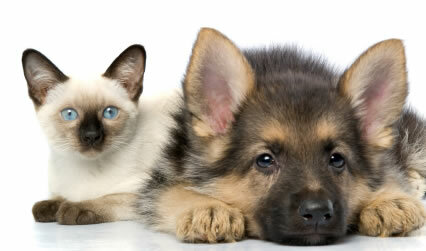 You may notice your dogs slowing down and having difficulty getting up particularly after resting. Those lucky dogs that travel can have difficulty jumping into the car. If this is the case, your dog may be suffering from osteoarthritis. Osteoarthritis is generally a degenerative, wear and tear condition which tends to affect dogs as they get older but younger dogs can also be affected if they have predisposing joint problems. Arthritis is a complicated condition and proper management of arthritis generally involves a multifaceted approach. Some of the most effective things are sometimes the simplest and cheapest. • Warm and soft comfortable bedding will improve blood flow and distribute body weight evenly over muscles improving mobility and reducing musculoskeletal pain. • Weight loss will reduce the force carried by painful joints and reduce further wear and tear. The importance of weight loss cannot be overstressed. • Moderation of exercise is required so as to not overwork weakened muscles and exacerbate further wear and tear. Non-strenuous, low impact exercise is essential to keep joints moving and improve muscle tone. Short walks and swimming are ideal. • You’ve heard of pet jumpers or coats, but did you know that trendy paw warmers are also available? • Physiotherapy can range from massaging and stretching exercises for affected legs at home to seeing a qualified animal physiotherapist for more comprehensive treatment. Despite these remedies, many patients require additional treatments to keep them comfortable. Many cost effective medical treatments are available to improve the quality of life for patients affected by arthritis. These include Cartrophen injections, non-steroidal anti-inflammatory drugs, dietary supplements and even the emerging field of regenerative stem cell medicine. In some instances, surgical treatments may be considered for arthritis that is caused by specific joint conditions. For many patients a combination of these treatments is often used depending on individual patient requirements. The list of these treatments is quite extensive and is best discussed with your veterinarian in conjunction with assessment of your dog. So before you curl up in front of a heater with a nice warm cuppa, first endeavour to ensure that your pet is also warm and comfortable. If you are concerned, please phone our practice on 3202 7300. Keep warm this winter!